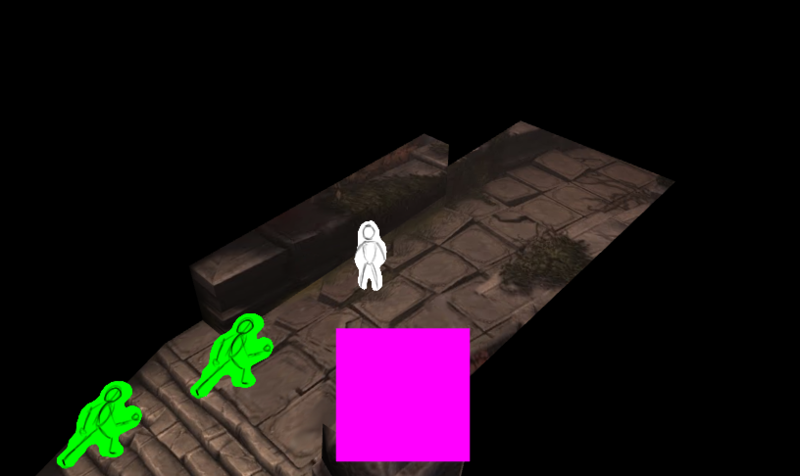 Can someone point me in direction on how can I render 2d plane with custom shader as GUI? I am thinking of doing health bar but splitting just simple image won't do. I want to have pixel level control over it through shader final look of the health bar image will be composed of multiple pictures and some shader logic to tie them together. This is just pseudo-code. It should be relatively simple answer. Just rendering plane on top of everything that is rendered on the scene. Thank you! I looked through code and it can indeed be used for what I intend. It looks like a lot of overhead to simply render image(s) on top of everything. I can do that in pure WebGL with even less lines of code without much problems, but since I am using BabylonJS, I was wondering whether there is a way to do it in Babylon style? From there I can use uniforms for multiple textures I want to use and to position and scale the plane. Isn't there anything in Babylon that does that already built in? If not, I'll roll my own and mark this issue as closed. So regarding your question, GUI is not rendered with shaders but with DynamicTexture. Your code will work, but you will face potential issues by updating gl context as Babylon.js is keeping a cache of all changes and this cache will not know about your changes. @Deltakosh Well, I'll then let the cache know about the changes :=) I am thinking of writing this as feature (GUI with shaders). @Deltakosh I guess it's only natural to re-write/extend some of the features tool (like Babylon) offers during game development. I'll push features that are more general and can be taken advantage of in general game programming when I end up writing some.